These pictures were shot about 6:40PM EST. 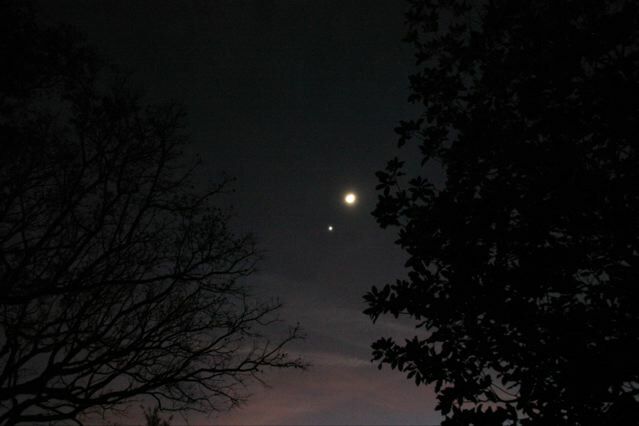 The first is the Venus/Moon conjunction. 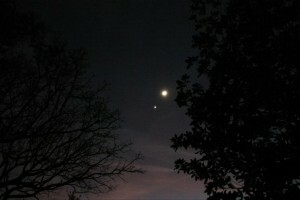 The second I noticed accidentally and as it turns out is a Mercury/Jupiuter conjunction. Pretty neat. 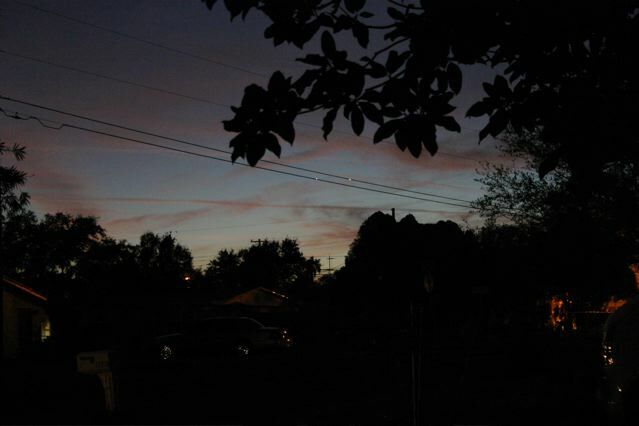 Mercury and Jupiter appear to be sitting on the power lines. I was on my way to a NYE get-together or I’d have gone out and reshot.